How do I change my resume label? Your resume label is the name that is attached to each resume in your resume dashboard. 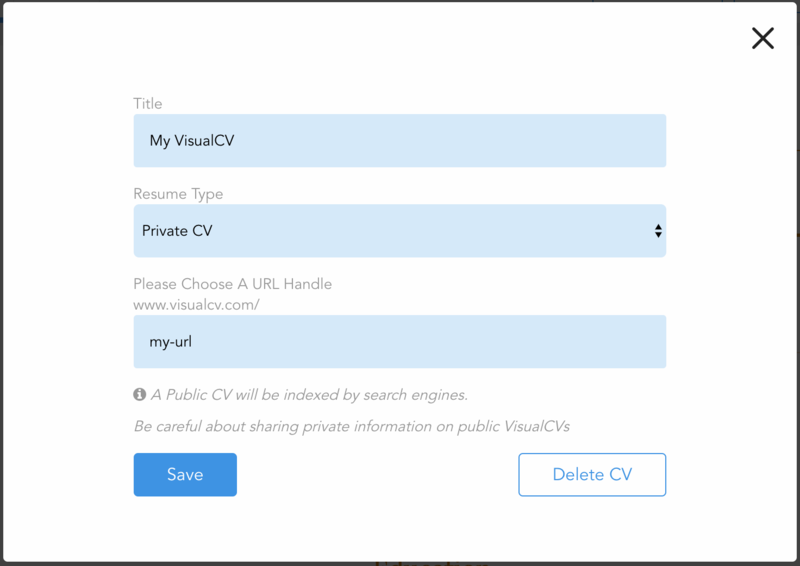 It will default to 'My VisualCV,' but is completely customizable. To change your resume's label, first open the CV Settings tab in the left side menu. This will open a modal with settings for your VisualCV. Here, you can choose your resume's privacy setting, as well as a URL. Write your new label in the 'Title' field, then click Save. Your new label will then be saved. Tip: Choose a distinct title for each resume. That way, there will be no confusion when you go to edit or share a particular resume.